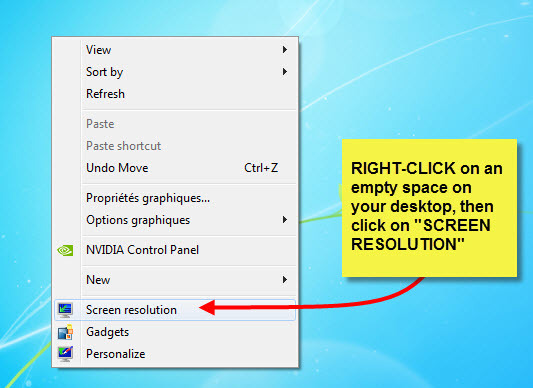 STEP 1: Go To The "Appearance panel"
RIGHT-CLICK on an empty spot on your desktop and select "SCREEN RESOLUTION". 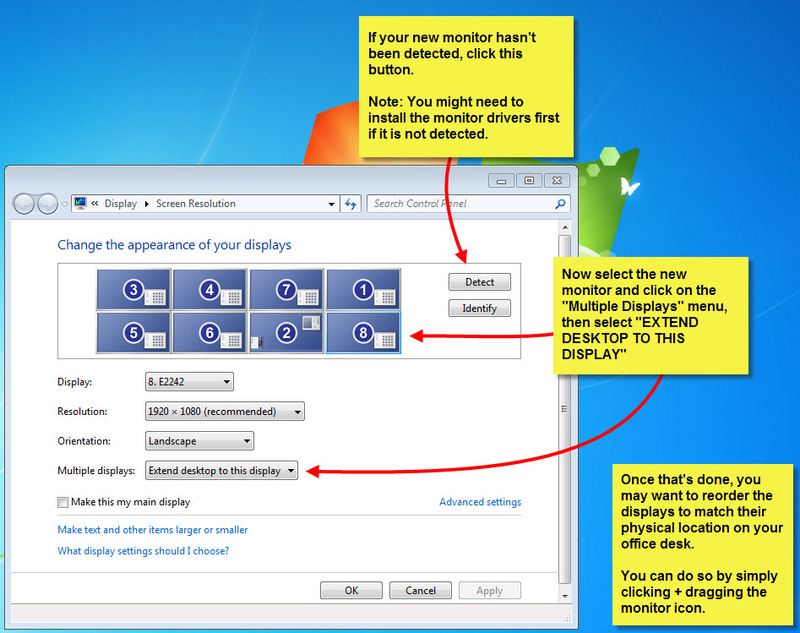 If your new monitor is not yet detected, click on the "DETECT" button. Now, select that new monitor (it should be the one with the highest number on it) and in the "MULTIPLE DISPLAYS" menu, select "EXTEND DESKTOP TO THIS DISPLAY", then click the "APPLY" button on the bottom right. You should now be able to see your wallpaper on that monitor. The last step is to CLICK & DRAG that monitor icon to the same location as the physical one. Once it's done, click "APPLY"
Note: sometimes, you might have to install the monitor drivers before Windows 7 detects it. You might also want to REBOOT YOUR COMPUTER if it still can't detect it.